A package of 11 worksheets with answers on prepositions of agent, measure, source, possession, and cause. Choosing correct prepositions to fill in the blanks. Using prepositions to describe image presentation. Demonstrating knowledge of other prepositions in writing. Identifying other prepositions used in text extracts. 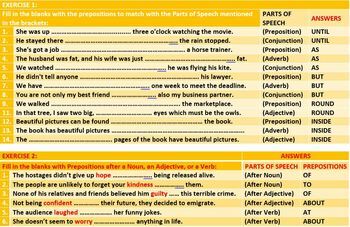 Filling the blanks with prepositions to match the parts of speech. 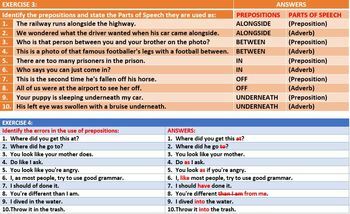 Identifying errors in use of prepositions.